Below is a sample motion to limine with a fun title: Motion in Limine to Exclude Witnesses from Testifying, Explicitly or Suggestively, that Plaintiffs are Liars, Dishonest, Untruthful or Exaggerating their Injuries. The gist of the motion is that Maryland law prohibits any witness, expert or otherwise, to give an opinion as to whether they believe another witness to be telling the truth. Defendants always want their medical expert to comment on the credibility of the victim or to suggest they are malingering. This motion tries to take down this defense strategy before it gets started. 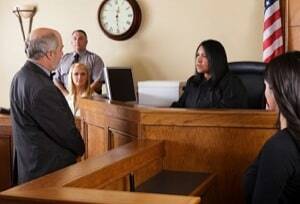 This case concerns a rear-end car collision that occurred between Plaintiff and Defendant. This rule also prohibits experts from resolving discrepancies between contradictory evidence. Bohnert v. State, 312 Md. 266, 278 ("it is not the function of an expert to resolve conflicting evidence… The rationale for excluding conclusions based on the resolution of contested facts is that the conclusion requires a judgment which invades the province of the jury as the finder of facts"). WHEREFORE, for the foregoing reasons, Plaintiffs request respectfully that the Court grant this Motion in Limine and preclude witnesses who testify in this trial, including any experts, from testifying, explicitly or suggestively, that Plaintiffs are liars/lying, dishonest, untruthful or exaggerating their injuries. That Plaintiffs' Motion in Limine is hereby GRANTED and, therefore, all witnesses are precluded from testifying at trial as to the credibility/veracity of the Plaintiffs, including any explicit or suggestive testimony that Plaintiffs are liars/lying, dishonest, untruthful, or exaggerating their injuries. The Maryland rule is consistent with the long-standing common-law prohibition against expert testimony on the credibility of a witness. This logical underpinning is that jury is adequately in the best position to make the call on the victim's credibility. So having expert testimony addressing credibility not only unnecessary but it unduly invades the jury's province. Our rule is the traditional rule. Unlike Maryland, the Federal Rules of Evidence and some states do not support the common law prohibition on expert testimony addressing credibility.